[ Restoration Home ] [ Buying a Unimog ] [ Fixing the cab - Part I ] [ Fixing the cab - Part II ] [ Taking it apart 1 ] [ Taking it apart 2 ] [ Finishing taking it apart - 3 ] [ Painting it all ] [ Starting to put it together - 1 ] [ Starting to look real again - 2 ] [ It's a Unimog - 3 ] [ Finishing the cab ] [ Putting the cab back on ] [ First day of hooning ] [ Finishing it off ] [ We got a HIAB (and another Mog) ] Oh my god, we bought a Unimog! Buying _another_ crazed vehicle and scaring (scarring?) the populace. It arrived. 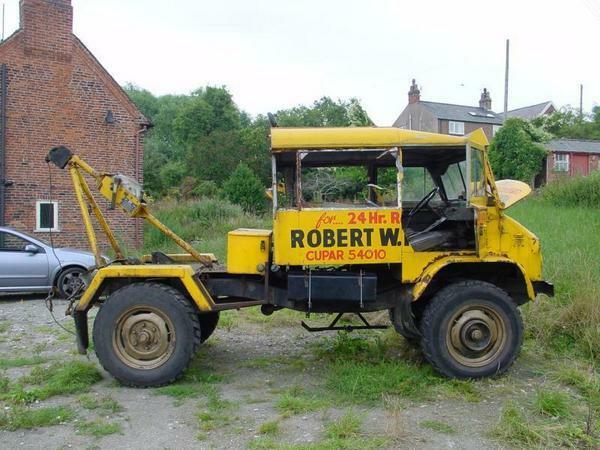 I only found it just over a week ago (1/8/4) in a scrapyard (cheers Al), looked at it next day and finally talked Derek into it. It's not cost much. We didn't know whether it would actually drive or not, but it did. Started well, no smoke and seems fairly sound. The cab is the worst bit and is going to receive lost of attention. 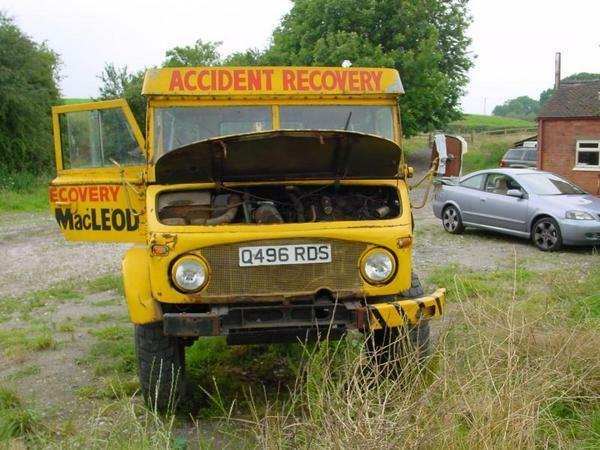 Only the front is original, the back half has been built out of landrover parts (check the roof), but at least is attached properly (see bottom photo). A bumper would be nice. A really large one. We successfully drove it up a hill through a fence, so it can't be _that_ important. Current plan is to keep the bottom of the crewcab, chop the top off and make it a canvas top. This would mean we could drop the windscreen forward, as the good lord intended. Derek wants a roll bar. You may have noticed from here (bottom) that I like cranes. 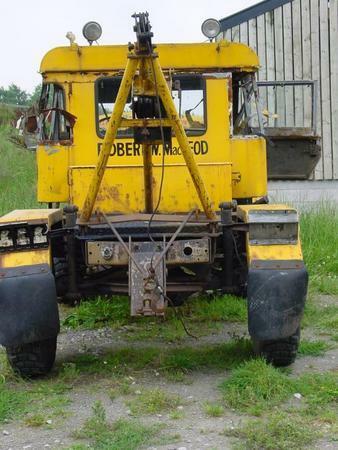 This one's a bit naff, but apparently means that it is registered as a travelling crane and is therefore MOT exempt. I'll believe it when I see it, but for now we'll clean it up and leave it on - we've nothing better to put on (until we get a HIAB). "so", you ask, "it's f**ked, why the hell have you bought it". Because it was there. 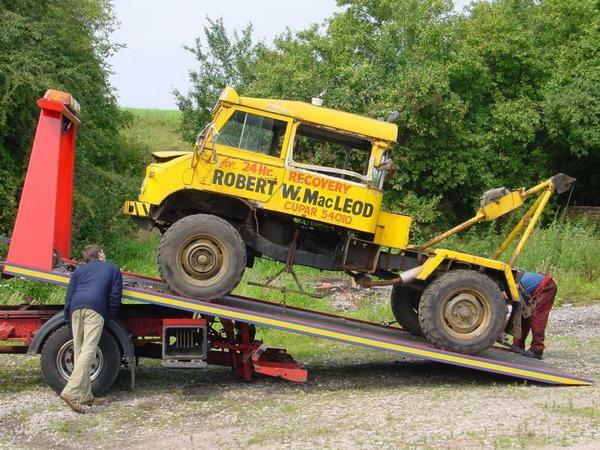 I've always wanted a Unimog or a Landrover, and this arrived first. Mechanically it's really good and very simple. The cab lets it down, but it is so basic that it is repairable. 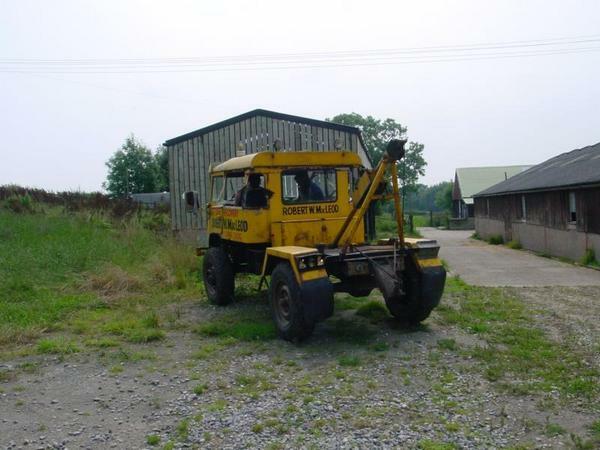 It's a 1967 Mercedes Unimog S404. It has a 2.2 litre petrol engine, coil springs, torque tubes, portal drive axles, will ford nearly 1m and will drive up a 45 degree slope with 1.5 tons on the back. You can see here that although the battery box has corroded away the chassis is sound. 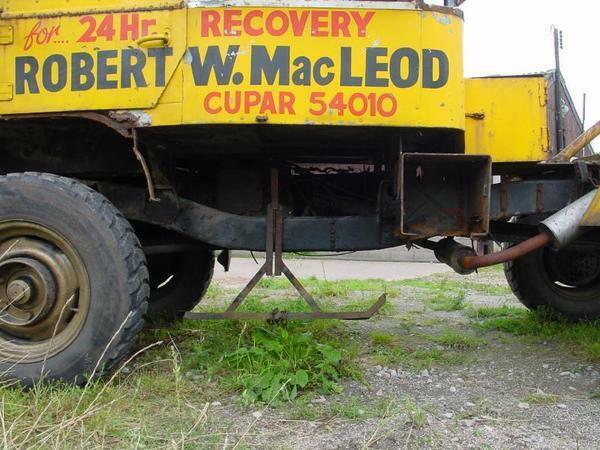 It has some surface rust but nothing that won't brush off (excluding the cab). We fancy a vertical exhaust and a riser for the airbox. She's called Ingrid, and will have chrome wheels. Again, it's worse than it looks. 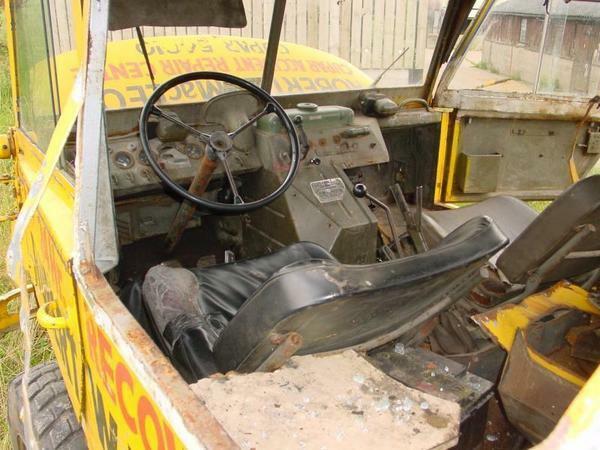 We've stripped all the crap out and removed the seats. There are a few panels missing, and all the switchgear seems to work (mother of all airhorns!). It has a German maintenance guide, showing the 24,829 grease and oil points. Here, the top bits (the cab floor and mounts) are rusty and knacked. 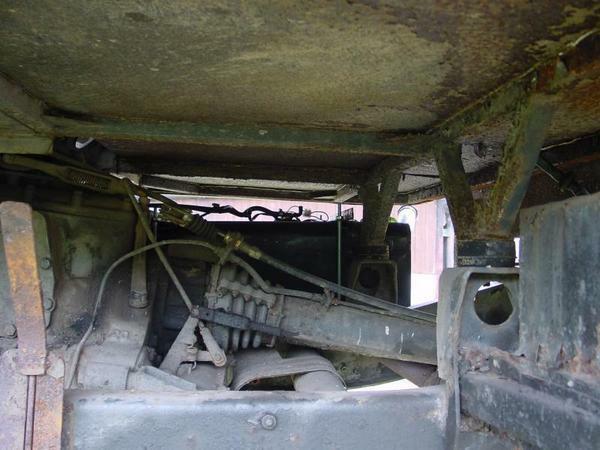 The bottom bits, (transmission and chassis gubbins) are fine, with only insignificant patches of rust. We're already stripping it down to its component parts.